His little eyes filled with tears, his face crumpled, and my heart dropped. Why had I used such careless words? Yes, my son was whining about schoolwork and dragging it out. It seemed the only thing he wanted to do was build legos. Sitting him down to have a little talk, I let my frustration out in an empty threat. And I saw a little part of him close up. I never wanted to do that to my precious son again. Immediately I knew I was wrong, and I apologized. We talked a bit longer. He wanted to be home. He wanted to do the right thing. But he was also still a little boy—one who wanted to play more than he wanted to work. Yes, for a moment I saw a part of his heart close. But I’m thankful it didn’t stay that way. We don’t want our kids to close the door of their hearts. And we certainly don’t want them to lock us out. A heart like that is a lot like the locked door to our homes. How do we get in when a door is locked? Although it is possible to smash through it, we are left with quite a broken, ugly mess. Instead we use keys. As Christian, homeschooling moms I think it is wise to use the keys that God provides us in order to unlock the hearts of our children. Because without the hearts of our children, educating them at home will always be a struggle. How can we connect with our children? Talk to them, not at them. Have real conversations. Do not provoke them to anger. Read aloud together. Play games together. Go outside and have fun together. Study Scripture, pray, and go to church together. See your family as a team. We may not love Pokémon, Shopkins, Minecraft, Thomas the Tank Engine, and the latest video games—but they do. Our favorite things may not be Barbies, LEGOs (especially when we step on them), or American Girl—but they are our children’s favorite things. They love these things. Obsess about them at times. And they want to tell you about them, to share them with you. And if we start this when they are young, our teens are more likely to want to talk to us. They are more likely to listen to us. You’ll notice all of these have something in common. They require time. One of the benefits of homeschooling is that we have the opportunity to spend time with our children. Let’s be careful that the choices we make in how we will homeschool do not hinder this incredible benefit. And these solid relationships are the foundation for the next key to your children’s hearts. Insight is “the capacity to gain an accurate and deep intuitive understanding of a person or thing.” Obviously this starts with relationship. But insight goes a step further. It is intentional in a different kind of way—it seeks to understand not just who they are but why they think and behave the way they do. It seeks understanding. But how do you understand someone else? Yes, it starts with the first key. You will never develop a deep understanding of your children if you don’t take the time to build your relationships. Talking, laughing, sharing, having fun, and working through the difficult times takes time, attention, and intentionality. 2. Be a student of your students. Get to know your children. The word for know in the Bible usually refers to an experiential knowledge. That is why insight begins with relationship. How do my kids learn best? What says, “I love you” to them? What things do they get excited about? How can I encourage those interests? 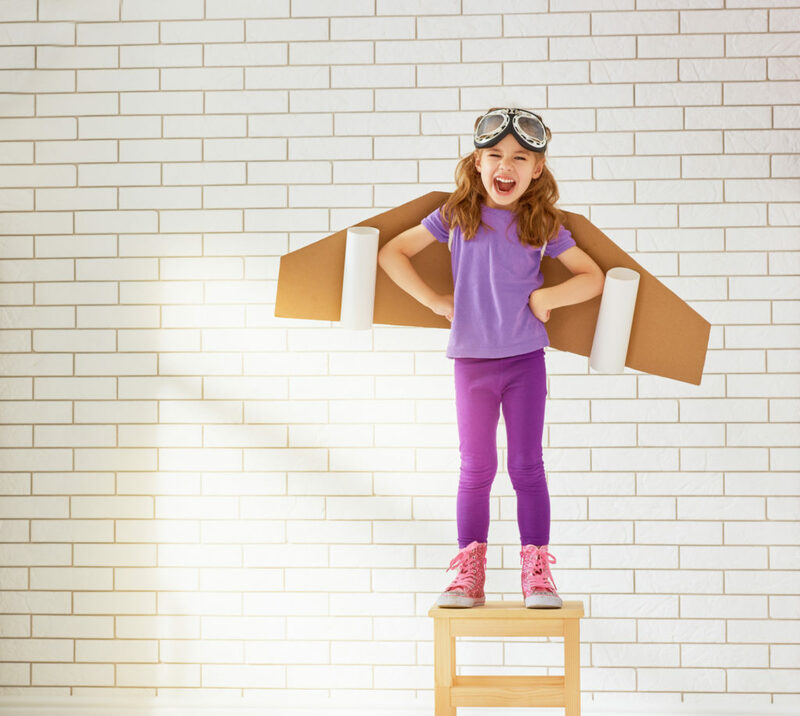 What personality qualities do I see in my children? What are their unique talents and gifts? Are my kids struggling in some area? Is there a sin that seems to keep tripping them up? 3. Recognize everyone longs for security and significance. These are core needs of everyone. Our pastor once defined foolishness as people’s quest to get these needs met apart from God. How does your child try to get these needs met? Are they choosing foolish ways? Are they choosing wise ones? Where are they looking for the answers? Ultimately, to gain insight, we need to go to the One who knows them better than anyone else. The One who created them. And that leads us to the third key to our children’s hearts, the one I call the Master Key. Until you are convinced that you can’t change your child’s heart, you will not take prayer seriously. Prayer is the master key to your children’s hearts, because the only one who can change hearts is God. How did He do this? He sent the Messiah, His Son. And when we believe, we too are given a new heart. We are given the gift of the Holy Spirit. The Holy Spirit is the one who convicts, guides, and teaches. All of us. It is through prayer that we gain insight into our children. It is through prayer that we get to know both them and ourselves. So let’s make prayer a priority when it comes to homeschooling our children. My careless words, an empty threat, closed the heart of my son just a bit. But I’m thankful I already had these three keys with me. We had a strong relationship, one where we could ask for and give forgiveness, one where we were able to talk. God gave me insight into my son’s tender soul. My sweet son wanted to please me, but he was also still a child. He needed the security that came from knowing he would be home and nothing would change that. And prayer. I had to stop right then and ask for God to forgive me and to ask him to. And I had to pray for wisdom in how to help him do what he needed to do, while still being sensitive to how God designed him. 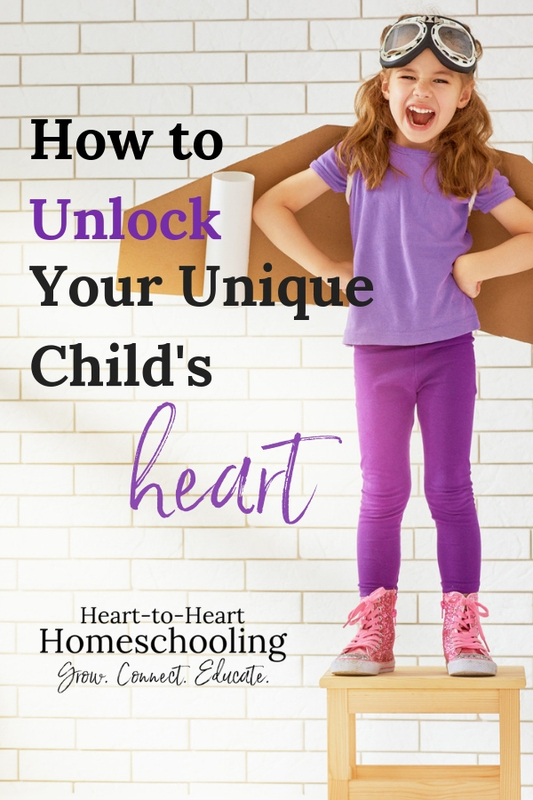 These three keys—relationship, insight, and prayer—will help us to educate our children in a way I refer to as Heart-to-Heart Homeschooling. Homeschooling is largely heart to heart. The methods and even the curriculum do not matter nearly as much as the relationship between child and parent. It is so easy to get caught up in spending all our time thinking about the academic side of education. And I definitely have my personal favorites when it comes to curriculum, resources, and methods! But homeschooling is about so much more than the education of the mind. Related: What’s Your Homeschooling Philosophy? So may I encourage you to begin by unlocking the hearts of your children, so you can teach them in the way that respects who they are? We have the keys, so let’s use them. This is so beautiful and so well said. Relationships are my very favorite part of homeschooling. I’m so grateful for the strong, close relationships I have with each of my children. Such blessings! Thank so much, Myra! That is an incredible blessing. There are no formulas when it comes to raising kids, but we can be intentional about trying to build strong relationships with them. Excellent post 🙂 Thank you for sharing. I have to say that homeschooling used to be a HUGE struggle for me. These are great tips for a great homeschool experience. I’ve had to be on my knees repeatedly to get through my homeschool days. I’m finally starting to see light at the end of the tunnel. The Lord has shown me so much through this experience. I wouldn’t have it any other way. I love how you include prayer. I wish I prayed more when my kids were young. It is hard to get a moment to yourself. Hope you have a great year.